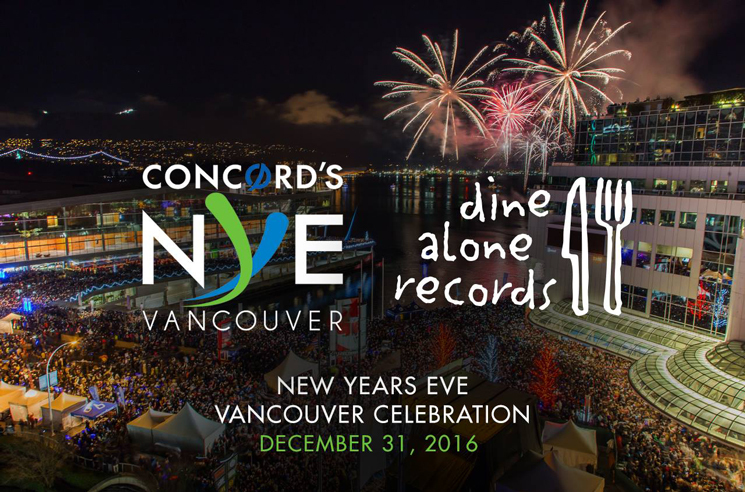 As 2016 draws to a close, Dine Alone Records and the Vancouver New Year's Eve Celebration Society have teamed up to put together a lineup of bands that will rock the West Coast into 2017 on December 31. The label-curated event sees the Sheepdogs and the New Pornographers top the bill, with more live performances from Wintersleep, Yukon Blonde, Humans, Spencer Burton, Meghan Patrick, Dan Davidson, Delhi 2 Dublin and Crystal Shawanda rounding out the evening. The Sheepdogs will headline a free celebration outdoors, while the New Pornographers will head up ticketed indoor party True North, which will also see Yukon Blonde, Meghan Patrick, Humans and Delhi 2 Dublin perform inside the VCC West Ballrooms. The event also promises multiple stages, a new countdown clock tower and early fireworks for families at 9:00 p.m. followed by a midnight countdown with a fireworks finale. "We are excited to be a part of Concord's 2016 News Year's Eve celebration," Dine Alone owner and founder Joel Carriere said in a statement. "Brand Live and the NYE Society have been great partners to work with and Vancouver has always been a favourite tour stop for our artists, many who call the city their hometown. We can't wait to bring so much amazing music to everyone in Vancouver on New Year's Eve for one amazing party." Further information on the ticketed and non-ticketed events can be found through the event's official website here.